Wow! Ick. Oooh. Whaaaaaaat. No. No. NOPE. 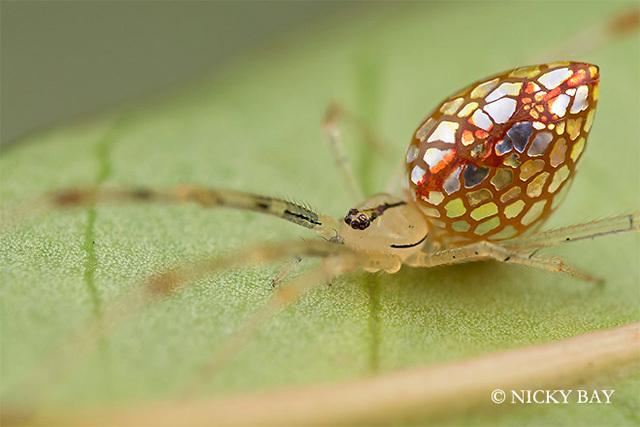 That pretty much summarizes my reactions while looking at these incredible macro shots of spiders photographed by Nicky Bay who lives and works in Singapore. 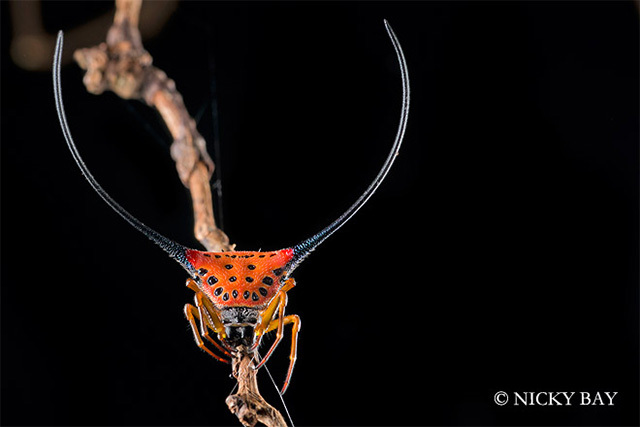 The boundless biodiversity found on the country’s several islands includes a vast array of insects and arachnids, many of which Bay has painstakingly documented up close with his macro photography and published on his blog and Flickr account. Despite being creepy crawly spiders, it’s impossible to deny the endless creativity employed by evolution to create such amazing creatures. It’s hard to believe these lifeforms came from the same planet let alone the same country. 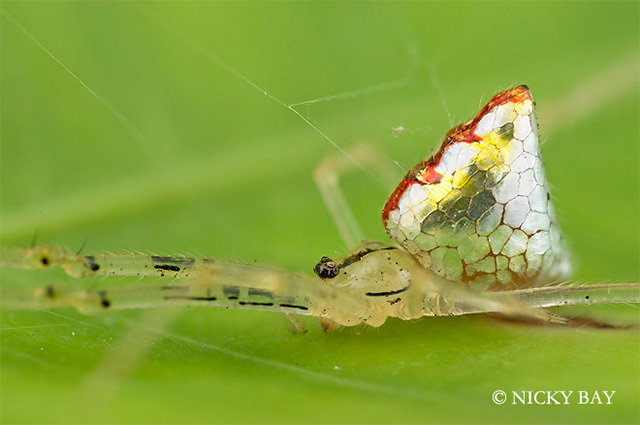 For instance the Mirror Spider has an abdomen of reflective panels that glitter like a disco ball, or the various colors of Ladybird Mimic spiders that are almost indistinguishable from the insects they are camouflaged to look like. But there’s also the more frightening Two-Tailed Spider or the Bird Dung Spider that would have me scrambling for a frying pan and a quart of poison before I would even consider picking up a camera.